Are you a blogger? What about a blogger of multiple blogs? Some of us just have one blog, but perhaps you have a personal blog along with others in niche areas such as technology, cooking, fitness, and so on. 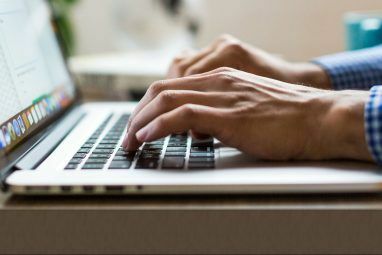 Even if you have two blogs, you can be quite busy keeping up with writing, connecting with your followers and of course researching what you’re going to write about next. Oh, and there’s one more thing that you “have to” do — share your posts to social media. Now, I placed “have to” in quotes because it’s not a mandatory part of blogging. In fact, some even say you shouldn’t do it at all. However, personally, I’ve found that social media has helped my blogs grow tremendously. So now that you’ve decided to post your blog(s) to social networking platforms, how do you go about it? Well, you can do it manually. This can take a lot time, but allows for customization of your audience per network. If you have several blogs to share and all of the popular social networks (e.g. LinkedIn, Facebook, Twitter, etc.) to share them on, you might be a bit overwhelmed. However, there are some excellent services to assist you with this process. I will show you both what the services themselves look like, as well as how the shared blog post appears. Dlvr.it (pronounced “Deliver It”) has previously been covered on MakeUseOf and is one of my favorite services for sharing blog posts. It has an intuitive interface, the process is simple and it gives you a lot of variety of services that it can connect with. These are Twitter, Facebook, LinkedIn, Tumblr, StatusNet, Delicious and RSS feeds. Where I think Dlvr.it really shines is it’s ability to have multiple routes and receive multiple RSS feeds per route. Basically, routes are made up of two parts: sources, which are your RSS feeds and destinations, which are your social networks. It might be easier to understand by referring to the image below. You can see I’ve organized my routes by blog platform — Blogger and Tumblr. I only have one Blogger blog, but two Tumblr blogs, both of which I would like to post to the same social networks. Like I have done with my Tumblr and Blogger blogs, if you don’t want all of them to post to the same destinations as the others (for instance, posting to Twitter, but not to Facebook), you would need to place one (or more) of the sources in a separate route. Dlvr.it also allows you to change the view to destinations, showing you which destinations are receiving which RSS feeds. Another feature that Dlvr.it provides is stats for you to see what links are most popular. There’s also the option between using Dlvr.it’s link shortening service or Bit.ly (They also give you the ability to create your own link shortening service or use goo.gl). Last, but not least, are the Direct Post and Flipstream functions. The Direct Post allows you to create a post, designate destinations and schedule when it goes out. If you’re familiar with Bit.ly’s features, Flipstream is similar to Bit.ly Bundles, where you can add multiple links, share something about them and post them to multiple social networks. The only plus with using Dlvr.it for this function is the larger variety of destinations compared to Bit.ly. If you’re wondering about Google+ support, their API hasn’t been made available yet to services like this. However, Dlvr.it has stated in their blog that they will add that functionality as soon as it becomes available. Lastly, it’s important to know what a link will look like when you post it. Here is an example. Twitterfeed is probably the most popular RSS feed to social network publishing service around. If you’re not familiar with it, it publishes to Facebook, LinkedIn and (obviously) Twitter. Aside from not having as many destinations to publish to, Twitterfeed works a little differently than Dlvr.it — each blog is given its own feed (what Dlvr.it calls routes). Therefore, it might take a little more time to set up if you have several blogs, whether you want them all to post to the same networks or not. Also, navigating through Twitterfeed seems to take a bit more effort than what may be necessary. I can think of a couple ways it could simplify the process so that few clicks are needed. That said, it does have a very nice looking and easy to use “homepage” which it calls the Dashboard. Lastly, I noticed a dramatic length of time from when a blog post was published to when it appeared on Facebook. I tried refreshing Twitterfeed to pull in the feed quicker, but it didn’t seem to change much. I did notice the importance of making sure the correct setting was chosen for publishing posts to Facebook. Below is an example of what it looks like if just “Title only” is chosen, versus if “Title & description” was selected instead. If you want an image in the post, make sure that the checkbox by “Include automatic thumbnails in Facebook wall posts” is checked. It sounds like I’m being quite negative on Twitterfeed and that it shouldn’t belong along with the “best.” However, it is still an excellent service — it provides support to the three most common social networks and has a plethora of advanced settings, including the ability to post to Facebook Pages, which is a feature that’s seldom heard of. 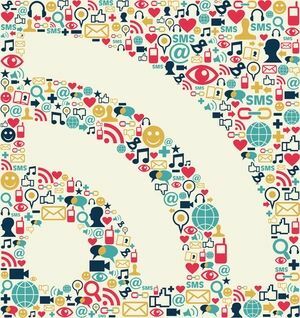 If This Then That, abbreviated IFTTT, is far from just a service to autopost your blog posts to social networks. It pretty much can do anything for you on the Internet. In fact, its motto is “Put the Internet to use for you.” It has been covered quite a bit on MakeUseOf as well. From great recipes to help you automate your web life 10 Great ifttt Recipes To Automate Your Web Life 10 Great ifttt Recipes To Automate Your Web Life We’ve already introduced you to ifttt in a previous post and there have been several improvements made and new channels added to the web application since then. Automation and synchronization are two points that have... Read More to recipes for services that you use every day 5 More Awesome IFTTT Recipes You Can Start Using Today 5 More Awesome IFTTT Recipes You Can Start Using Today We introduced MakeUseOf readers to ifttt in September of last year. Since then, I've made a few posts regarding the web service. Those two articles introduce 18 one-click "recipes" that can supercharge your Internet experience.... Read More . There is actually another IFTTT recipe which includes Buffer that is on MakeUseOf The Perfect Way To Schedule Your Tweets: Tweriod + Buffer + Pocket + IFTTT The Perfect Way To Schedule Your Tweets: Tweriod + Buffer + Pocket + IFTTT We've come up with the perfect way to figure out when to post your tweets, what services to use to automate the process, and also have a few tips and tricks for you on how... Read More too, however it doesn’t work the same way as publishing your RSS feed to Buffer. So why use Buffer? It’s just one more service to sign up for. Why use it when you can just create a recipe in IFTTT to publish your RSS feeds directly to LinkedIn, Twitter, Facebook or others? It’s just convenient — would you rather set up one IFTTT recipe or set up three, four, five (depending on how many social networks you want to publish to)? And that would just be for one blog, let alone if you even just had two blogs you wanted to autopost from. Before you start setting up the resume, you have to sign up Buffer. Once you do that, go back to IFTTT (which you also need an account for) and set up the recipe. You’ll have to connect IFTTT to Buffer and then follow the steps of adding your RSS feed to the Trigger and making any changes to the “Update” box. You can customize this any way you want. To the right of the box, you’ll see a dropdown menu of “Ingredients.” Feel free to play around with these until you make your favorite concoction and then click the big blue button that says “Use Recipe.” Repeat this for as many blogs that you want. After it is created and the blog post is detected by IFTTT, it is sent to Buffer and scheduled to be shared. 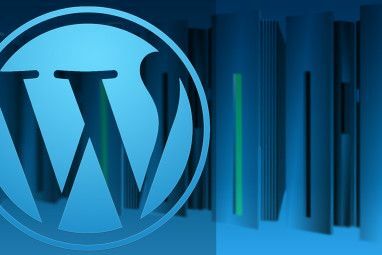 Since we’re on the topic of Buffer, I might also mention that there is a WordPress plugin which automatically publishes your posts to Buffer. However, the process isn’t the easiest to set up and includes creating an app on Buffer. But if you’re the kind of person that likes to try things out, by all means go for it! RSS Graffiti is actually only for Facebook. I decided to include it along with the others since it has such an intuitive, easy-to-use interface and is a great option for people who may only be interested in posting to Facebook and not Twitter, LinkedIn or others. RSS Graffiti is actually a Facebook app, therefore it can be accessed right from Facebook if any settings need to be changed. It was actually included in a list of Facebook applications that are actually useful. Because we all know that the majority of them are pointless and a waste of time. Ahem… not to start on a tangent or anything. RSS Graffiti is very similar to the others in features. It’s primary conveniences are that it’s directly in Facebook (if you’re using Facebook a lot) and that it has a very clean and easy to use interface, although many others have this as well. It’s Facebook integration goes beyond being an app and posting to Profiles and Pages. It also allows you to post to Groups, which (correct me if I’m wrong), but no other service can do. 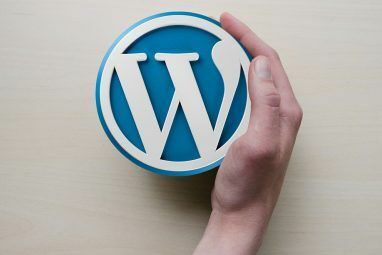 The advantage with using a blog-specific service is if you only have a blog on that particular service, although sometimes you are limited to what the blog platform includes. SNAP is a WordPress plugin that offers a variety of social networks to post to: Facebook, Twitter, LinkedIn, Blogger, Tumblr, even Pinterest and Google+. It allows you to post to post to both profiles and pages. Before you get all excited though, I can’t lead you on any further without telling you that in order for Google+ and Pinterest to work, you need a special library module. Easy right? Well… I thought so too. In fact, I was going to dedicate an entire post to this plugin until I realized that that module costs $49. That was a kick in the pants for me. Frankly, it’s not that worth it and I would rather just manually post to Googe+ and avoid the “convenience” of autoposting until the API is released. However, this plugin is still great as you can post to all the other services very easily! The setup does involve some extra steps that are quite different from the other services which are mentioned and there is a full guide that extensively covers how to set up each service. I will just briefly scrape the surface. First, after you install the plugin, you have to create a Facebook App for the WordPress plugin to interact with. It’s actually quite neat and I really like how the finished product turns out. Like I said, I really like how it turns out, and if you can follow directions you should have no trouble setting this up. Here is proof that it can indeed post to Google+, it just unfortunately comes at a cost. If you have a Tumblr blog, you may want to just stick with simplicity and use the feature to post to Twitter and/or Facebook right from the text editor. The nice thing is you can also customize your tweet, which I don’t think many (if any) allow you to do that before it’s scheduled. It’s quite a unique feature. But you are limited to Twitter and Facebook. However, if you would like to post to LinkedIn as well you can simply add a hashtag and “in” (#in) at the end of the tweet and it will go right to LinkedIn as well! Also, Tumblr has really stepped up its Facebook integration. It used to be quite crummy, but now it is flawless. Along with the post being published on your feed, it can also be displayed in the Tumblr ticker which will give it a longer lifespan on your Timeline instead of getting pushed down quickly if you post a lot of other links. Posterous, which was “recently” acquired by Twitter, has always been known for the vast amount of social networks it can post to. Once you connect it to your Facebook profile or page (or any other service for that matter), you can start autoposting! Like Tumblr, you can choose which services you want to post to right from the text editor. This is really nice to be able to customize and it really makes me wish that this was a more common feature across other blog platforms. Unfortunately Posterous does lack the feature to edit how the tweet looks like in the text editor itself, although in the Autopost Settings Page you can customize how tweets generally appear. I do really like how Posterous posts to Facebook too. And if you enable the setting to post images to an album on Facebook (say for a photo blog) it’s quite a nice functionality. Currently Blogger only posts to Google+ and probably always will only do that. However, if you do have a Blogger account or are on the fence deciding whether to get one or not, the ability to post to Google+ conveniently may be a deciding factor. To straighten the story Blogger doesn’t actually auto-post to Google+, but instead will immediately prompt you to do so after you’ve published the post. This saves quite a few steps and is certainly the next best thing. Now that I have overwhelmed you with options to share your blog posts, I want to make a couple of recommendations before you start. It is very important that you don’t “spam” your friends and followers with multiple posts… it could even be more than two. In fact, I struggled with this at one point years ago, trying to figure out the right balance between sharing. And I just discovered I slipped up again the other day. It can be quite easy to do if you’re trying out different services and forget to disable one before moving on to the next, so this is just a friendly reminder to remember to do that. Nancy actually mentioned this too at the end of her article on scheduling tweets with Buffer and some other apps, which I linked to when covering IFTTT and Buffer. Basically, you want to have a good balance between sharing links and actually being personable online. You don’t want to mass post hundreds of links within a short period of time. Buffer actually helps you to keep from doing this, however, you still want to share your own thoughts along with your links. This applies to blog posts as well. Some autoposting services, like Tumblr with Twitter, allow you to customize the post a bit with your thoughts. If you post through Buffer, usually you have some time before it get’s posts, which allows you to edit the post into your own words a little more. These are just a couple suggestions to be aware of as you are exploring autoposting services and methods. Now that you have the full rundown of all the best autoposting services, I ask you… what are your thoughts on autoposting? Good? Bad? Do you use any of these services? Do you have any additional tips or services to offer which you feel have benefited you? Explore more about: Blogging, IFTTT. I would like to suggest you to go ahead and try Blog2social, this is my personal favorite, not only you have a single dashboard which will help you post across platforms but also it requires no cron job done. You just have to simply install and activate it. Cricket-games.me update new-best free games online from internet. Here you can find game: Action game, Racing game, Girls game, Shooting games, Puzzle game ..and more. Useful links for the bloggers..post your blog for free in bizbilla. Thanks for this information - it really makes more informative..
Ha! I sense your sarcasm :P But actually, no -- I probably didn't, but thank you I appreciate your compliment! Thanks, i have been searching for an alternative to Lnksalpha. Aaron, nice work. You made a good list for the automatic posting. I have a suggestion for you list. Network Publisher (WordPress plugin) from LinksAlpha.com. Thanks! And thank you for sharing about Network Publisher. I'll look into it. Do you know whether dlvr.it supports subdomains on Tumblr? it is a great service but the lack of support for sub domains makes it a non-option for me. This is an interesting. Upon searching for the problem, I haven't found any problems (or solutions) for this issue. Have you tried contacting dlvr.it about this problem? I don't really see Hootsuite as a service for distributing blog content as much as managing social media. Have you had success with it in using it as a tool to share your blog posts? very rich artical, thanks for you effort. I used to use Posterous about a year ago. At first I loved it, then it started taking forever to post on Facebook, and I'd send another one through and end up double posting eventually. When I first started using it, I had no problems, but the double posting stuff burned me out on it. I will need to check out the other services you mentioned. Thanks for the informative article, Aaron! In "beta" is something similar, overblog.com, which creates blog posts from your twitter and Facebook feeds. It's also supposed to post new blog post notifications to twitter and FB (at least those two, haven't checked for other services) but it doesn't seem to have worked for the overblog post I created. In theory, it should be smart enough not to post notifications for blog entries created from twitter and FB feeds.